Areas in Jackson County will soon have increased protection from flooding thanks to Egyptian Electric Cooperative Association’s (EECA) assistance in securing a $360,000, zero-interest, 10-year loan for Degognia-Fountain Bluff Levee & Drainage District. 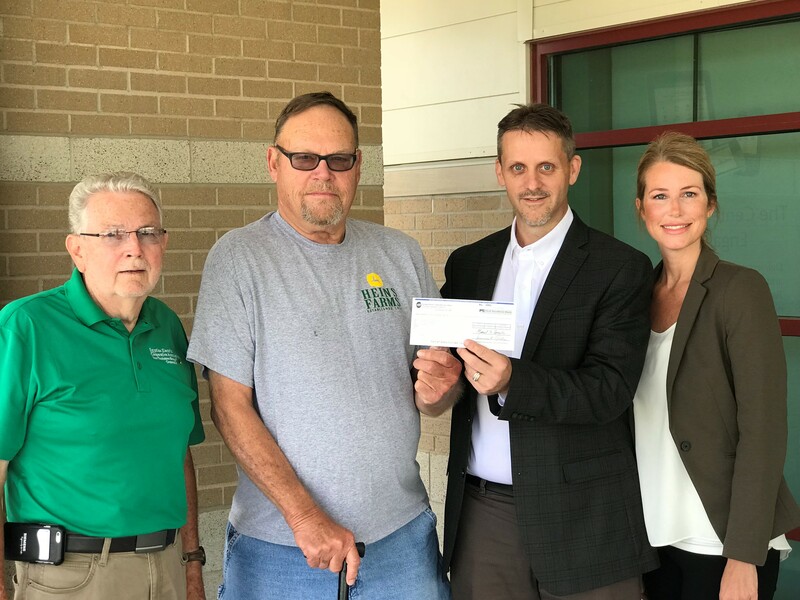 This loan is from the U.S. Department of Agriculture’s (USDA) Rural Economic Development Loan and Grant (REDLG) program with $300,000 of these funds from the USDA and $60,000 matched by EECA. “It has always been important for Egyptian Electric to invest in rural communities,” said General Manager Shane Hermetz. “The cooperative is happy to provide support through the REDLG program.” The levee district will utilize the funds from this loan to repair and replace two of the existing pump systems. “The current pumps are 40-plus years old and were never designed to do what the district needs to remove water from areas that are at high risk for flooding,” said Mark Holt, commissioner for Degognia-Fountain Bluff. According to Holt, there will be about 12,000 acres protected by these pumps. Flood events that occurred in 2011-2012 caused a net income loss of more than $19 million. “Needless to say, the impact for the area will be dramatic,” Holt said. This is the first REDLG loan EECA has assisted in attaining, and the cooperative is currently accepting applicants from qualified member or non-member taxing entities within its service territory interested in the REDLG program. USDA Rural Development provides loans and grants to help expand economic opportunities and create jobs in rural areas. The funding awards for these projects are through the REDLG program to support rural businesses. For more information about this program, visit www.rd.usda.gov. ← Congratulations to Tricia Asbury on winning!